Yet, locking up immigrant children has damaging effects on their health and well-being. 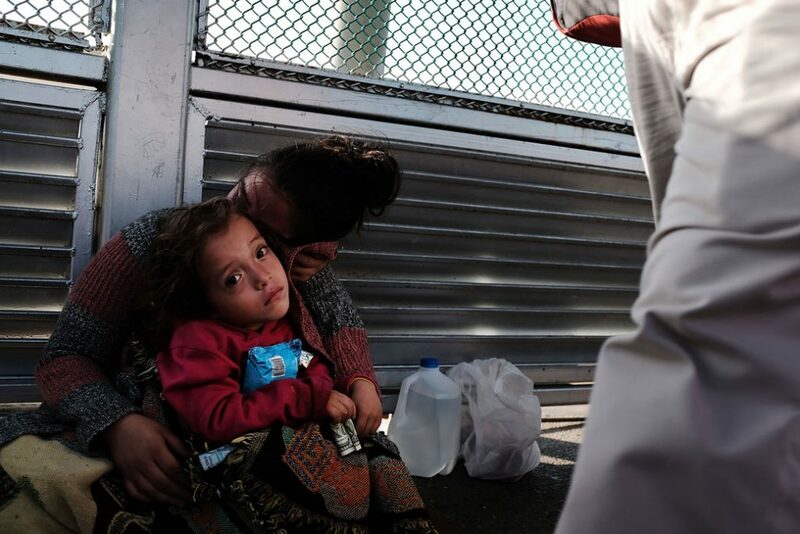 Pediatricians, developmental experts, and child welfare advocates nationwide have condemned the practice of family detention.4 Beyond being cruel and inhumane, research has confirmed that children forced to spend time behind bars—enduring the trauma, stress, and uncertainty of detainment—see lasting consequences, even if they are with their parents. This issue brief outlines how the Trump administration is attempting to roll back important legal protections for children in detention and details how President Trump’s latest policy of detaining families will have negative effects on the health and well-being of immigrant children and their parents. Last month, a San Diego judge issued an injunction temporarily stopping the administration from separating families.10 In a recent court filing, however, the U.S. Department of Justice argued that this injunction permits it to detain families indefinitely without modifying the Flores agreement.11 The judge rejected this argument but confirmed that parents can waive their children’s rights under Flores in order to stay together and be detained with their children in an unlicensed facility.12 This forces immigrant parents to make the impossible choice between being separated from their children or waiving their children’s Flores rights to be indefinitely detained together. Either way, this policy will lead to more children spending time in detention, with or without their families. And the research is clear: For children, any amount of time spent in a detention center is too much. Keeping families together is paramount to healthy child development and family stability. A responsive, consistent caregiver is the single most important person in a child’s life.29 Children learn to depend on their caregivers for everything, from food and shelter, to love, comfort, and protection. When parents are not able to be responsive to these needs, young children can become distressed.30 And the very nature of detention limits a parent’s ability to care for their child. Family detention centers are not suitable or humane places for parents to care for their children.35 They take away parents’ agency to make decisions about how best to care for their children, which ultimately has negative effects on children’s development and further traumatizes parents. While in detention, parents do not have the autonomy nor the resources they need to be fully responsive to their child’s needs.36 For example, a parent cannot: go to the kitchen to make their child a snack when they are hungry; get their child a favorite toy when they are upset; let their child come into bed when they have a bad dream;37 choose which doctor to bring the child to when they are sick; or bring their child outside to run around when they are restless. Family detention centers challenge the typical family structure and disrupt important attachment relationships.38 In detention, parents’ role as the authority figures in their children’s life can be undermined by the presence of guards and other disciplinary figures who hold ultimate authority.39 Although children typically look to their parents for comfort and guidance about how to behave and interpret new situations,40 the presence of a conflicting authority figure may confuse children, particularly in an unfamiliar environment. In short, at a time when children most need to feel safe, detention can compromise the parent-child relationship. In June, a California court ruled that the families separated by Trump’s zero tolerance policy be reunited within 30 days.41 As questions remain on what will happen to those families once they are reunited, one thing is clear: Immigrant families must not be put into family detention. The Trump administration is pursuing a policy that harms immigrants even though proven, cost-effective alternatives to detention exist.42 Before the Trump administration shut it down, ICE’s Family Case Management Program, for example, allowed families to be released under intensive supervision and provided families with critical legal, health, and education services.43 The program had a 99 percent success rate in having families comply with their court hearings and check-ins and was about one-tenth of the cost of detaining an individual. In short, there are ways to both address the current situation and avoid inflicting additional trauma on children. The world is watching. Rather than pay for tens of thousands of new beds in family detention centers, the Trump administration should fund alternatives to detention and invest in the necessary mental health supports for children and families who have been subjected to the horrors of forced separation and detainment. Families belong together, but they do not belong in jail. The author thanks the CAP Immigration team for their assistance with this brief.